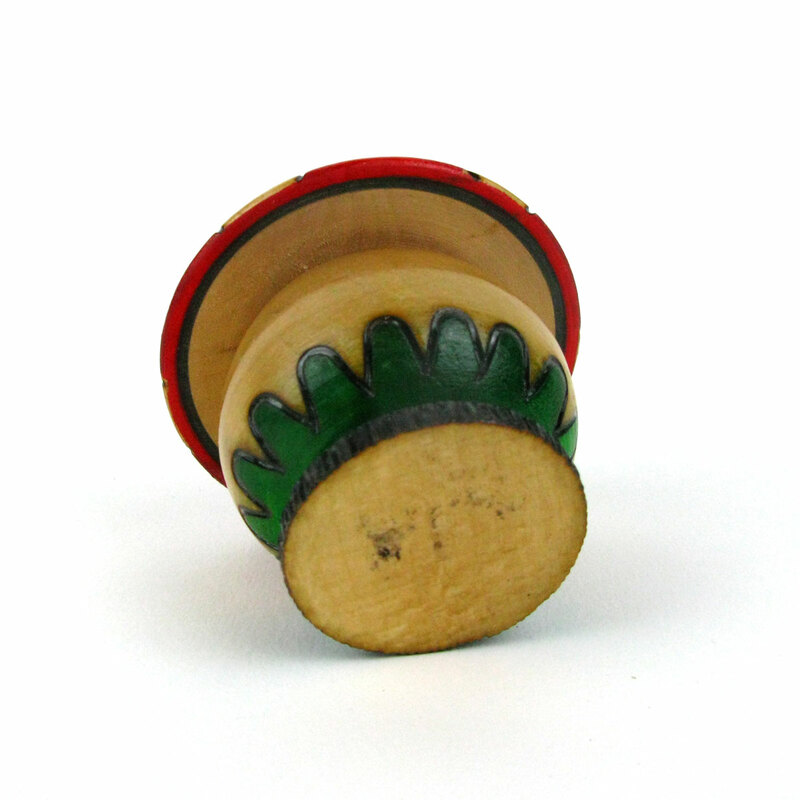 Mushroom-shaped wooden pot with folk carvings. 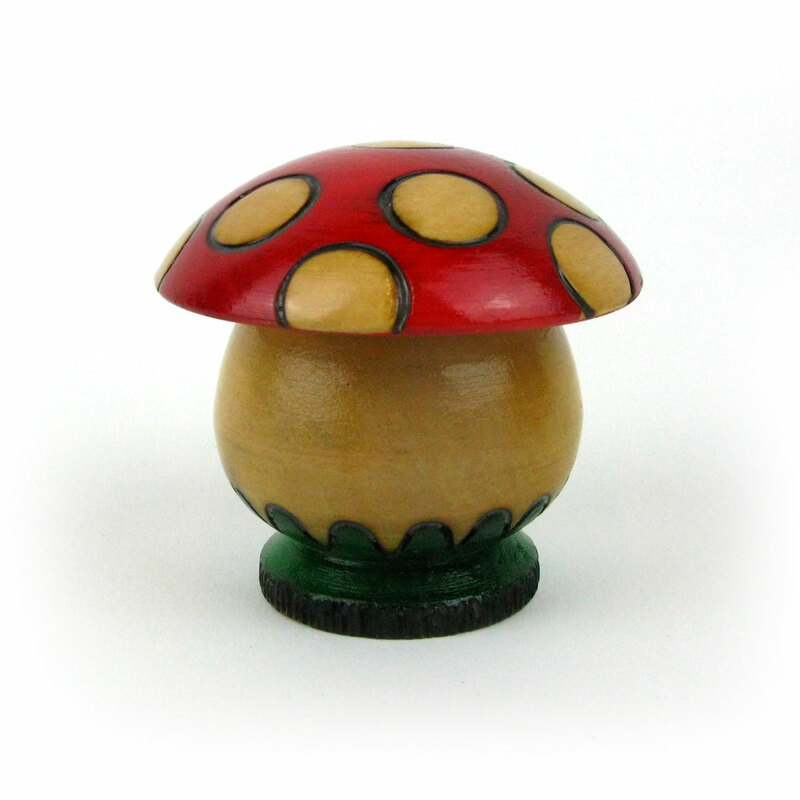 A small wooden pot with a lid, in the shape of a fairy tale mushroom. 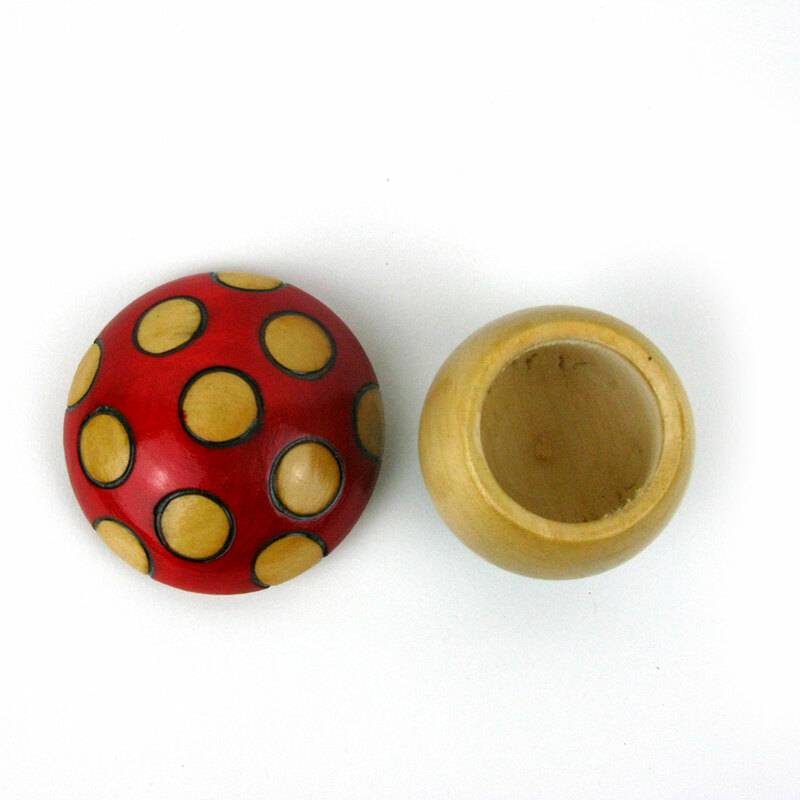 It has a brown stalk and dyed red spotty top with lovely carved decorations. This would make an ideal salt pot in the kitchen or a pot for rings and trinkets in the bedroom.